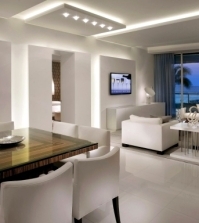 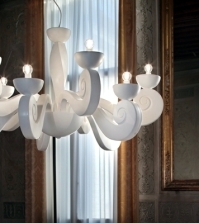 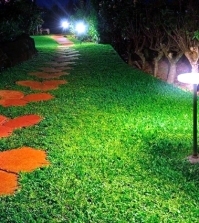 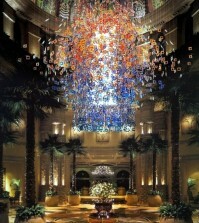 Lighting designers can be very inventive when it comes to styles and concepts. 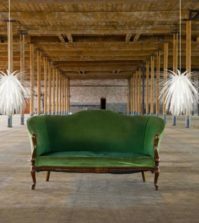 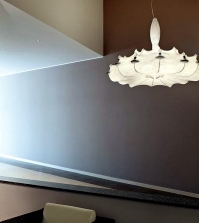 Typically, some quite rapidly in traditional or modern category, while other designs timeless works of art that can be beautiful in any room. 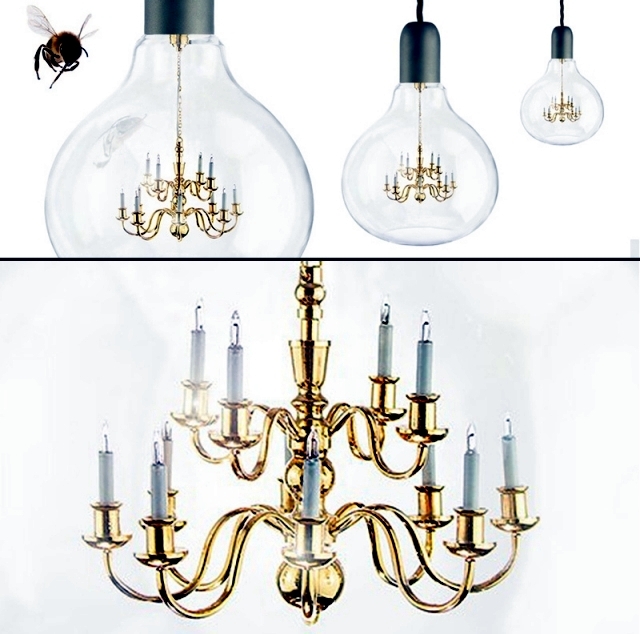 If you like interesting mergers or eclectic look, this pendant lamp design "King Edison" is the perfect choice for you. 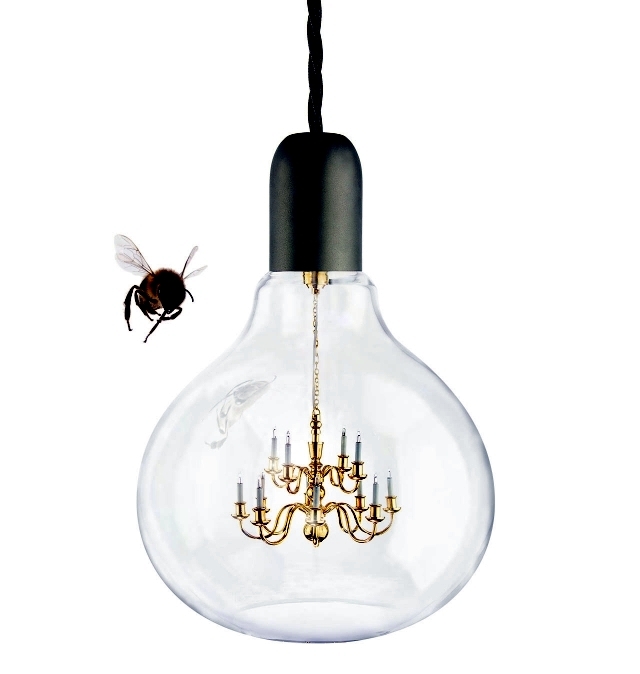 A small baroque chandelier made inside a huge glass bulb and hung on braided silk cord. 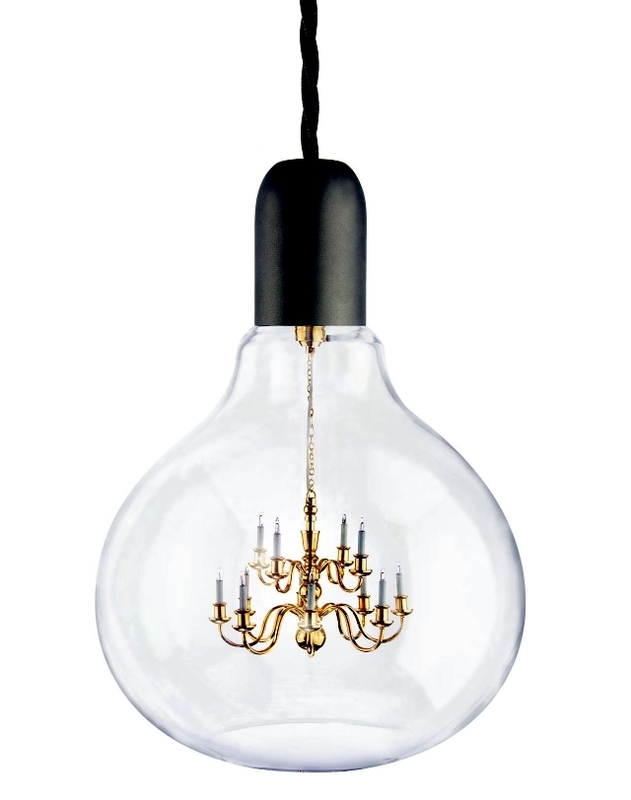 King Edison Pendant by Young & Battaglia combines the simplicity of the light bulb, invented by Thomas Edison, with the baroque splendor of a royal luster. 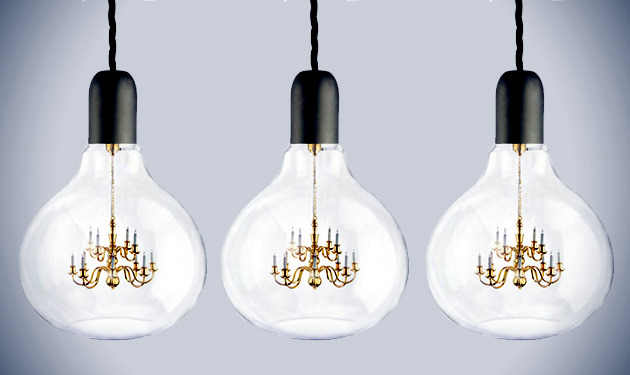 Miniature brass chandelier bulb - bulb blown clear glass and fittings are chrome. 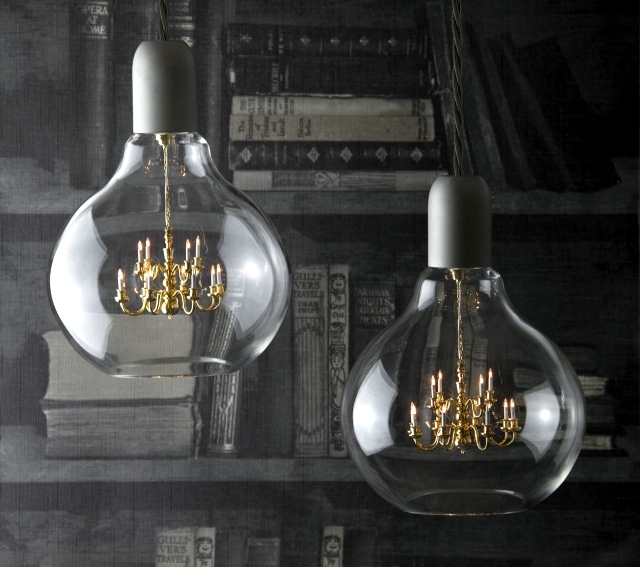 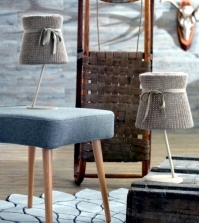 Pendant Light King Edison has a size of 15 cm diameter and 21 cm high. 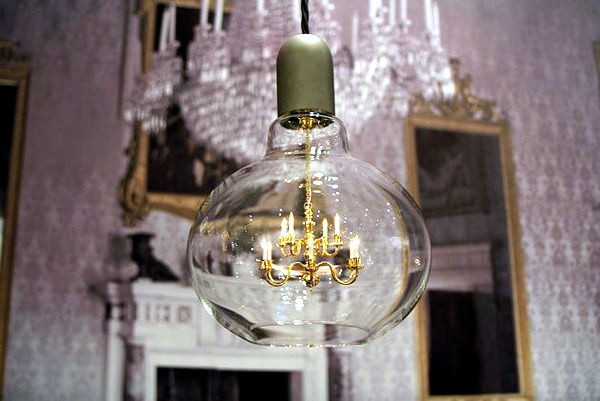 Design pendant lamp "King Edison"
The British designer Brendan Young and Vanessa Battaglia Italian designer first appeared on the international design scene with their furniture collection at Milan Satellite Fair in 2003. 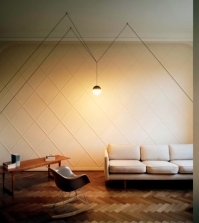 You Studiomold first under the name. 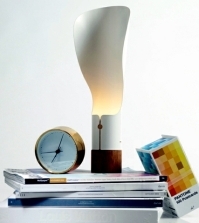 His early design objects included "Love 36" ping-president, and the speakers "His recycled" awards from old vinyl records. 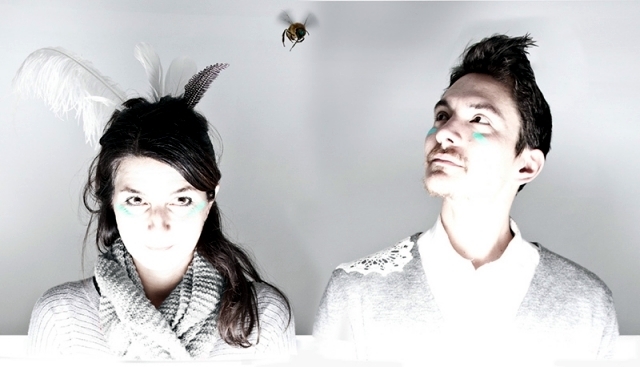 In 2011, they founded their own Mineheart brand design, which produces a series of articles for the interior. 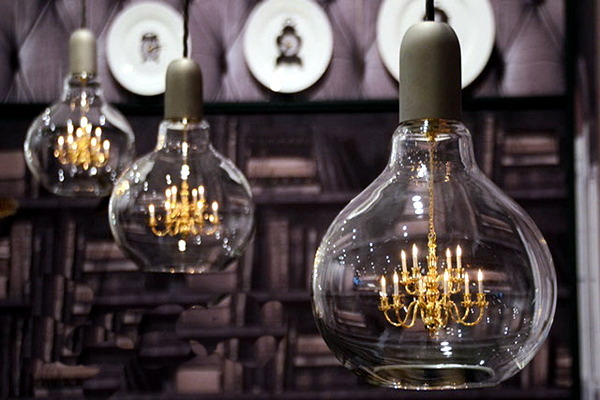 Wallpaper, rugs, art, lighting and furniture - everything is done in England. 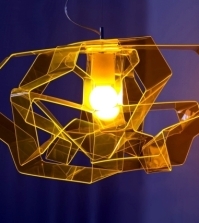 Designer duo Young & Battaglia gave this pendant lamp design of the ICCF Fair 2015 in New York City last month.